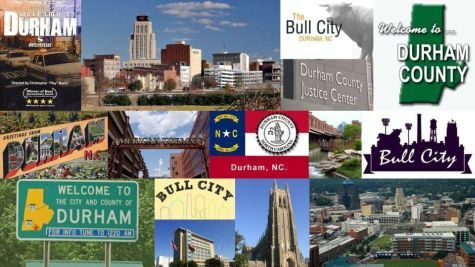 Question: Is Durham, NC known as "Bull City" because folks there are incapable of telling the truth, or are otherwise unable to operate within the world of reality? 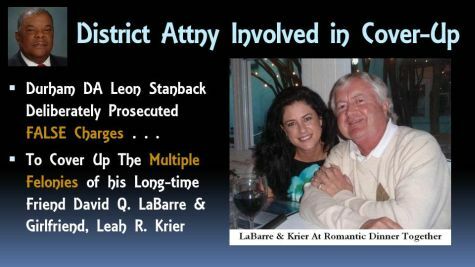 The below video is an exposé revealing the extensive felonies of Judge David Q. LaBarre and his girlfriend (Leah R. Krier), along with the outlandish corruption-laden efforts of District Attorney Leon Stanback to cover them up through the prosecution of entirely FABRICATED charges. 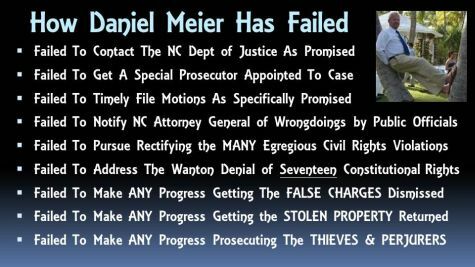 It also addresses the profound failures of the SIXTH public defender assigned (Daniel Meier) to defend the FALSE charges, thereby suggesting the existence of an extensive level of corrupt influence in Durham, a locale with a notorious reputation for installing public officials who audaciously abuse their vested authority. 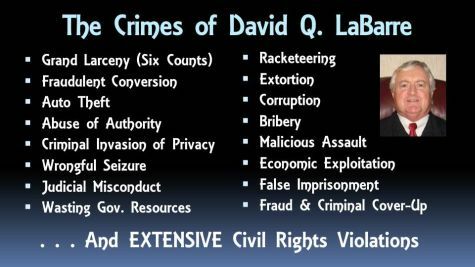 This is an important video because it is linked with the worst bank foreclosure fraud in U.S. history and exposes: (1) a vicious assault on American civil liberties; (2) an extensive number of Constitutional rights violations; and (3) the bastardization of public trust. In other words, this is NOT supposed to happen in America, and something MEANINGFUL needs to be done about it. The video is 16 minutes in duration because it is comprehensive and serves many purposes -- accordingly, an index to its key sections is reflected below, and then followed by select slides from the video, along with questions they logically raise. 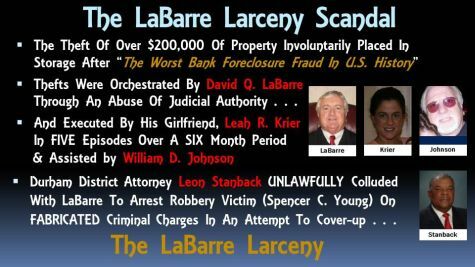 Corruption in Durham from Spencer C. Young on Vimeo. How can such readily achievable objectives be so elusive? 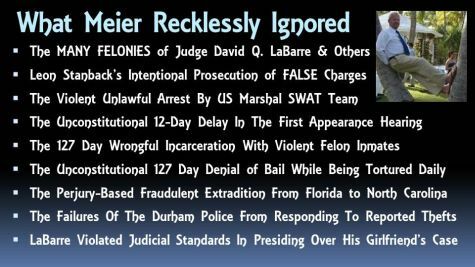 Is this behavior by a sitting judge acceptable? 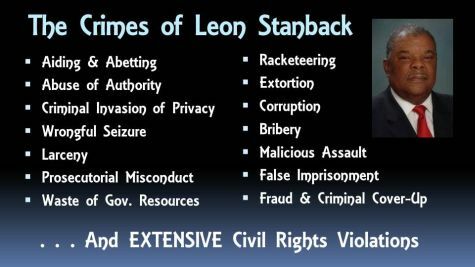 Are these the actions one should expect from a District Attorney ? Could SIX spectacular failures in just a few months be coincidental? 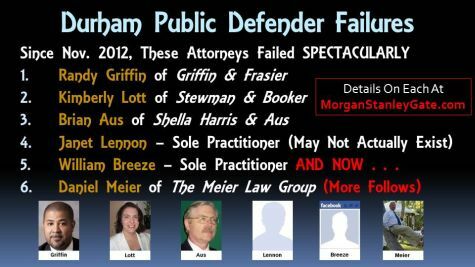 How can an attorney fail so profoundly? Might this be deliberate? 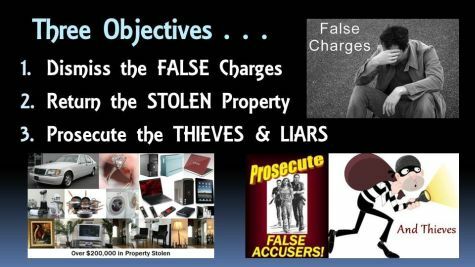 How can a lawyer be so oblivious? Could this be purposeful? 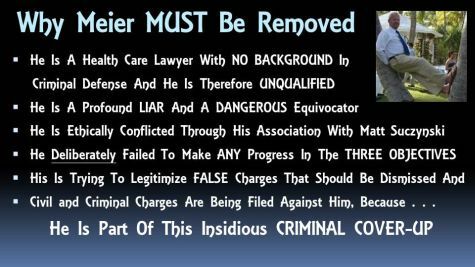 How can Daniel Meier be deemed qualified as a public defender? 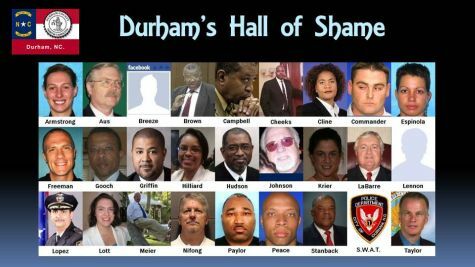 Is there something in Durham's water?